Erica Briones performs at a recent Mujer RGV event. McALLEN — Lights rippled across the floor of downtown McAllen’s Yerberia Cultura late Thursday night as audience members filled haphazardly-arranged chairs. Tania Piñera took the stage and announced her excitement that her mother was in the crowd. It was Mexican Mother’s Day, and her mom got special permission to go to work late the next day. 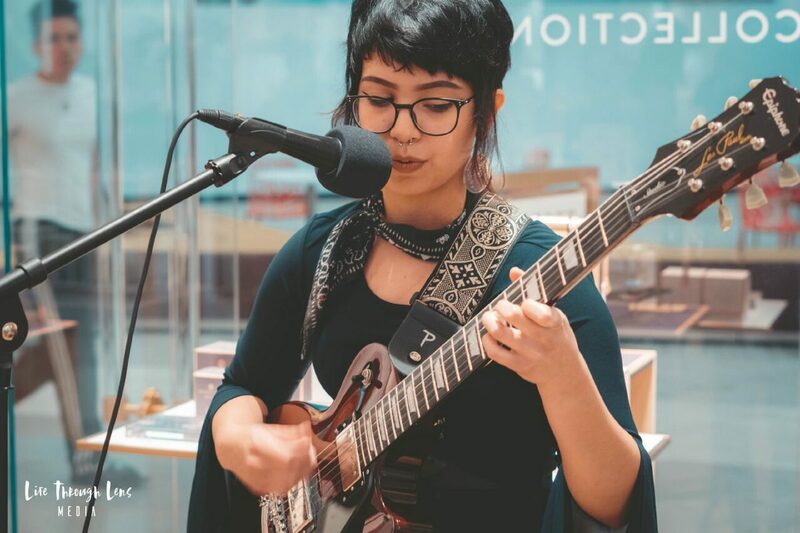 For the last two years, Piñera has played guitar and sung mostly cover songs at open mic events. This show was one of the first with a larger crowd. Event organizer Sirheem “Seems” Fuentes remembers the fear of performing in front of others. As a member of two local bands in the last three years, Fuentes said it took her 25 years to come to terms with the desire to sing. Playing local gigs, she’s often the only woman represented in the lineup. This confused Fuentes who said she knows a lot of talented female musicians. 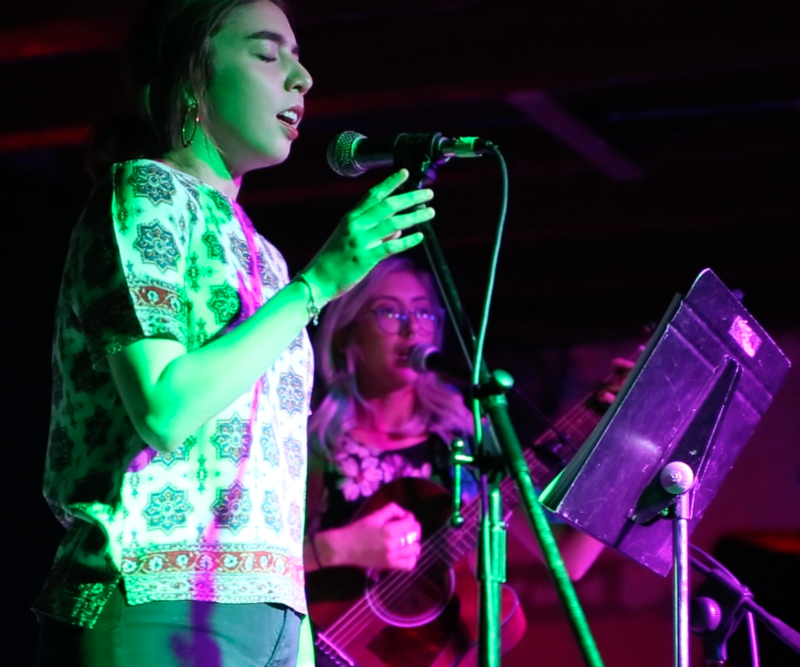 “I really wanted to tell girls that it’s okay to want to pursue being an artist of any kind and that there is support here,” she said of the recently created group Mujer RGV. Fuentes said the intention was to assemble a like-minded “support group” to provide a safe space for female artists of all experience levels. “If there are just five of us, that’s okay — as long as we’re here for each other,” Fuentes said. But the first event was attended by at least 100 people, she said. And the second event drew even more. “We’re here for each other, but it seems like the community (feels) this is something that’s needed,” she said. She said her biggest fear is that young women, like her nieces, will grow up feeling obligated to pursue careers they aren’t passionate about. Fuentes left a job teaching because she wasn’t satisfied. “I had to ask myself, ‘dude, am I a failure for quitting this job?’ I had to be honest with myself,” she said. Fuentes then took a string of jobs — waiting tables, retail and in public relations. She praised the women in her life that supported her decision to leave her job. Minal Cheema, 20, usually sings a cappella but was joined by an acoustic guitar Thursday. She rarely sings with musical accompaniment. Cheema said females artists are often marginalized and judged by their physical appearance. This could deter some women from putting themselves out there.